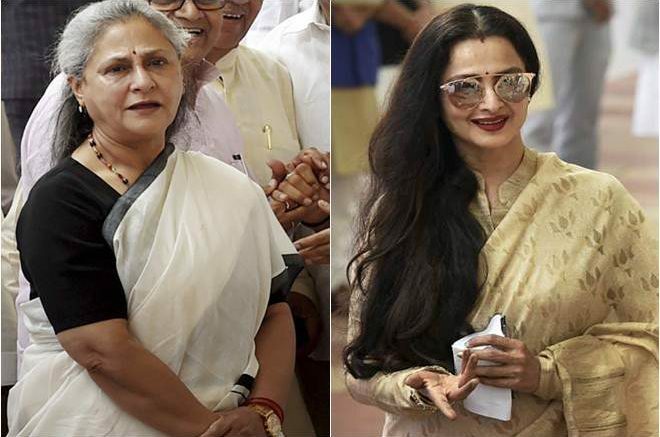 Yesteryear actors Rekha and Jaya Bachchan had an unplanned and awkward meeting at the Parliament on Saturday when members of both houses gathered to vote for the election of the Vice-President of India. Congress Rajya Sabha MP Rajiv Shukla ensured that UPA-nominated Rajya Sabha members Sachin Tendulkar and Rekha were in Delhi to vote in the Vice-Presidential election. While Shukla delivered on his party’s plan, one thing happened that was planned by none – the encounter between Rekha and her Silsila co-actor Jaya Bachchan. 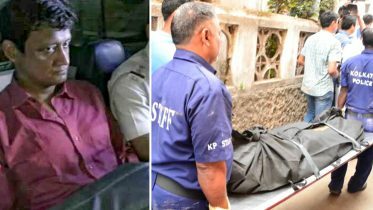 The chance meeting between the two took place when Rekha and Rajiv Shukla along with some MPs were waiting for the elevator near Finance Minister Arun Jaitley’s office in Parliament and Jaya Bachchan was coming down the same. As the door of the lift opened, the two actors found themselves staring at each other. In order to ease the awkwardness between the two, Rekha bent in and hugged Jaya, according to The Indian Express. While the chance meeting was enough of a surprise, Rekha murmured something into Jaya Bachchan’s ear that left her startled. Cricket legend Sachin Tendulkar and actor Rekha, who have often been criticised for their low attendance in the Rajya Sabha, cast their votes in the vice-presidential poll. Tendulkar, an MP since 2012, has an attendance of 7 per cent while Rekha, also a member since 2012, has clocked only 5 per cent attendance, according to PRS Legislative Research. Be the first to comment on "Parliament: When Rekha left Jaya Bachchan startled in Parliament"